On this magnificent safari to Kenya, visit some remarkable places for the chance to see giraffe, cheetah, zebra, leopard, lion, elephant, rhino, gazelle, hyena, Cape buffalo, and more—all in their native environments. Imagine the thrill of seeing these majestic animals as they sunbathe on grassy land and roam across the vast savannah grassland. Along the way, stay in unique tented camps, which enhances the experience by helping you feel closer to nature and at one with the landscape. 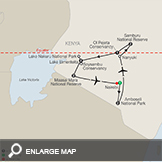 Start in Amboseli National Park, known for its large elephant population and spectacular views of Mount Kilimanjaro. In Samburu National Reserve you have the chance to see rare animals not spotted in other parts of Kenya. Commonly referred to as the Samburu “Special 5,” this includes the Grevy’s zebra, reticulated giraffe, Somali ostrich, Beisa oryx, and the gerenuk—a long-necked antelope that feeds while standing on its hind feet. Lion, cheetah, elephant, and Nile crocodile are also commonly spotted here. You’ll also spend two nights in Maasai Mara National Reserve, Kenya’s most famous game area. In addition to several game drives you will also enjoy a traditional Maasai dance performance and special farewell dinner in the bush! Other highlights include Ol Pejeta Conservancy, the largest black rhino sanctuary in East Africa, and Lake Elmenteita, where you enjoy sundowner drinks from a scenic hilltop. 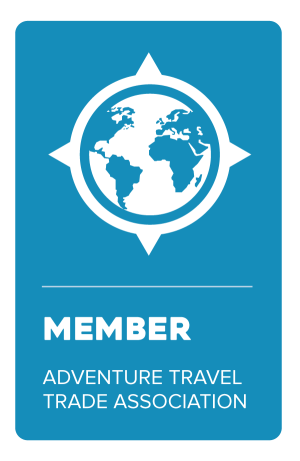 Contact Jubilee Travel today to book your Bucket List trip to Kenya with Globus!